INDIA. Mumbai. 2006. A girl walks along a water pipe in the Industrial Area of Dharavi. 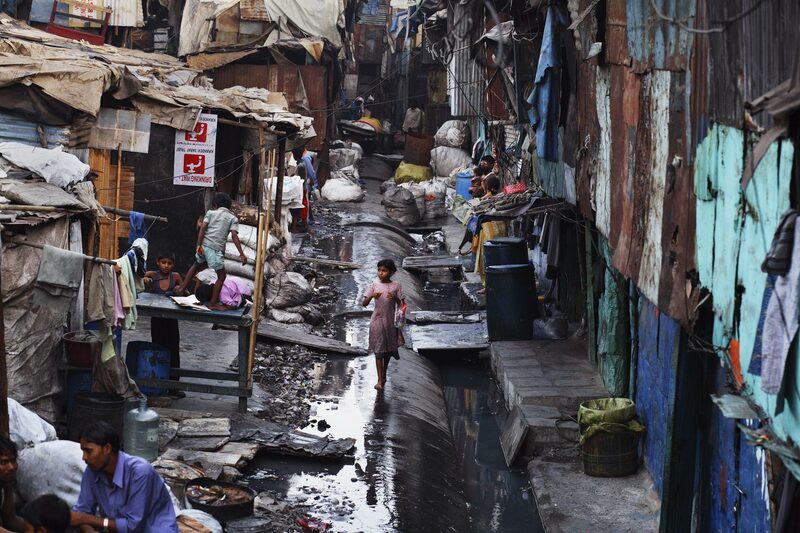 Although it functions as a throroughfare through this area of the slum, the water in the pipes is headed for the more affluent southern areas of the city.